I saw John Francis talk at ted.com a few months ago, and I was facinated with his story. After witnessing the devastation caused by a 1971 oil spill in San Francisco Bay, he stopped riding in motorized vehicles, a vow which lasted 22 years from 1972 until 1994. From 1973 until 1990, he also spent 17 years voluntarily silent. 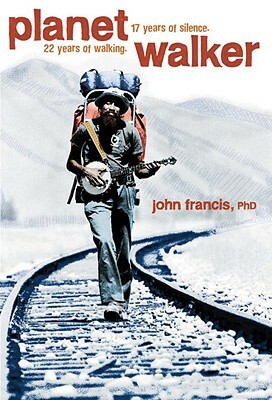 During this time he earned a Ph.D. in land management and traveled extensively, walking across the entire width of the lower 48 states of the USA as well as walking to South America. I heartily recommend this book to everyone who loves our earth, and who loves building communities. I bought mine as a Kindle edition from the Amazon bookstore, and read it on my iPhone. PS: There is one thing that bothers me about Johns story, something I would like to ask him if I get the chance. When he gives in and starts riding in cars again it is because he realizes that he will be a more effective communicator of his environmentally friendly ideas if he uses motorized transportation. But that is the same argument the rest of the world uses for riding in cars, it makes us more effective in what we need to achieve. But that doesn’t mean it’s good for the environment.